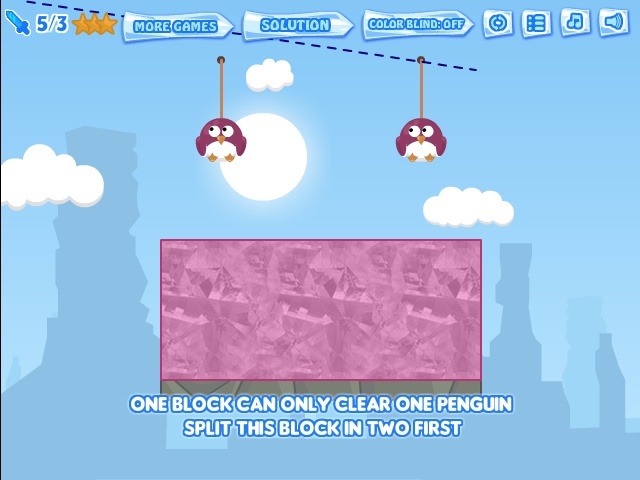 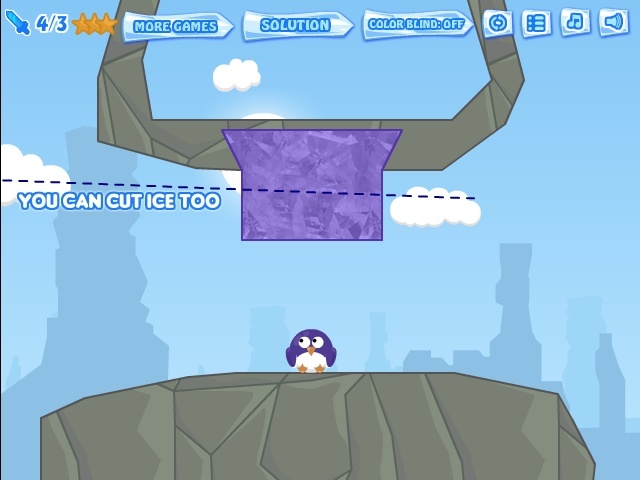 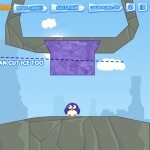 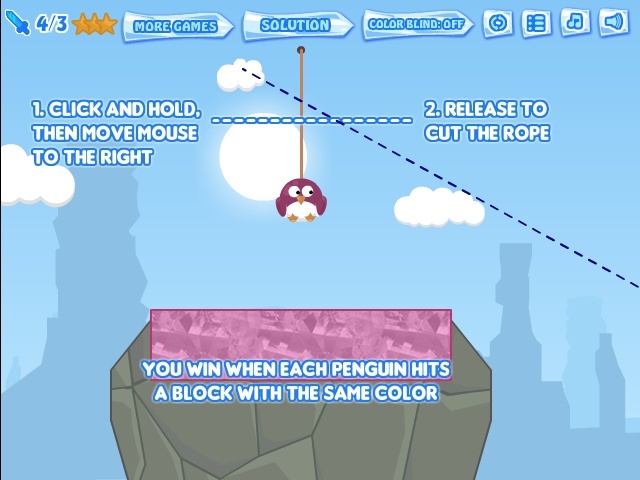 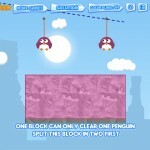 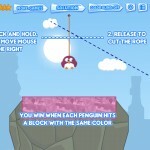 Physics Puzzle Cool Buddy Click to find more games like this. 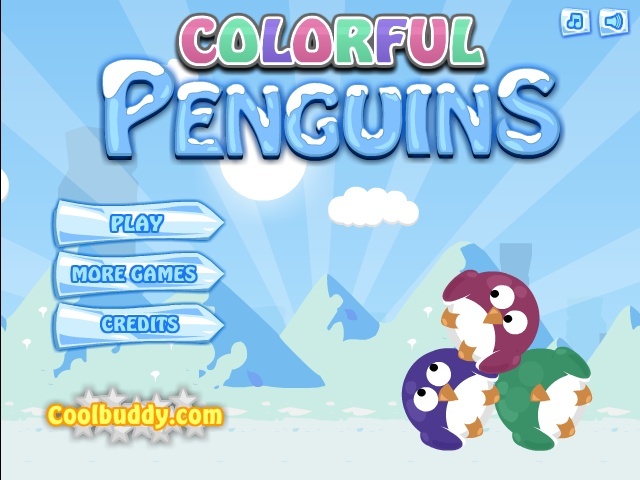 These penguins are not black and white! 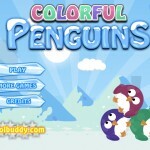 Help them regain their real color by cutting through ropes and ice.